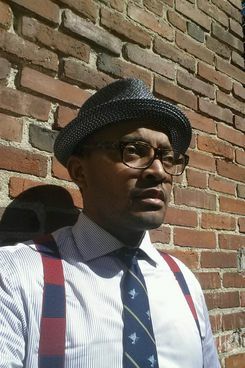 Marcus Ferrell, the new African-American outreach coordinator for Bernie Sanders’s presidential campaign, was only a week into his new job when he went to Netroots Nation two weekends ago and watched Black Lives Matter activists shout down his candidate. “He felt a little ambushed, quite honestly … he’s a human being,” he told a group of grassroots supporters, African-Americans for Bernie Sanders, who got together on a conference call for the first time last week to begin organizing behind the candidate. 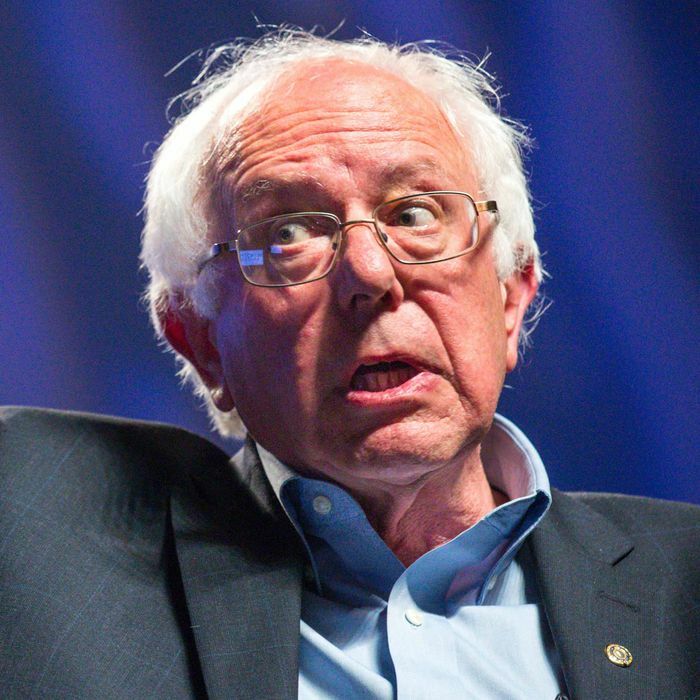 Of all the unexpected turns of Bernie Sanders’s surprisingly successful presidential candidacy, becoming an object of opprobrium among black activists was probably the one he least anticipated. It’s not that his team was completely unaware of the fact that he had work to do introducing himself to one of the most important constituencies of the Democratic party: Both the polls and a quick survey of the mostly white crowds that have shown up to his campaign rallies indicated as much. But in the three short months since he announced his Wall Street–bashing bid, Sanders has been drawing crowds in the thousands in places like Maine and Iowa and Wisconsin. He’s earned endorsements from rappers Killer Mike and Lil B. He was catching on with white liberal voters, and as a longtime progressive who came out of the civil rights era, it seemed like he was on the path to a growing following among black progressives, too. But the political landscape has shifted around him over the last several weeks. 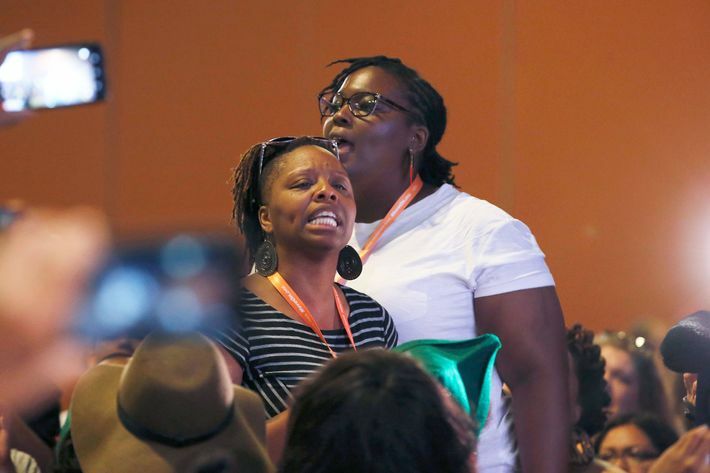 At Netroots — the annual meeting of progressive activists — protesters took over the Q&A session with the presidential candidate, screaming “black lives matter,” and “say her name,” until Sanders grew visibly frustrated. “Black lives of course matter,” he told the crowd. “And I spent 50 years of my life fighting for civil rights, and for dignity. But if you don’t want me to be here, that’s okay.” The testy response spawned a hashtag, #berniesoblack, to mock the candidate for suggesting that fighting for civil rights in the 1960s was sufficient enough to establish credibility with a community facing a crisis of police brutality today. Ferrell told the conference call that the campaign is trying to see the disruption as an opportunity, rather than a setback. “The organizer side of me understands exactly what they’re doing and appreciates it. And believe it or not, even the campaign at this point has appreciation for it, because it allows us to have a conversation in more detail about the issues that affect community I come from.” African-Americans for Bernie Sanders plans to start gathering Sanders supporters in events across the country starting today, as well as hosting weekly conference calls to figure out how to best build support for his candidacy. This is new territory to candidates not used to being pushed on matters of race. Sanders wasn’t the only one who faltered. Martin O’Malley told the audience, “Black lives matter, white lives matter, all lives matter,” and was met with a chorus of resounding boos — the whole point of the protest was to get candidates to acknowledge the crisis facing the black community, without sanitizing the message with the implication that all people face the same societal dangers. O’Malley quickly apologized for his poor word choice, and so it became Sanders who faced the brunt of the backlash, which continued to follow his campaign into the week. On the call, Ferrell suggested that better outreach could help solve the problem. After all, it’s not as though Sanders never speaks about these issues. “If current trends continue, 1 in 3 black males born today can expect to spend time in prison during his lifetime. This is an unspeakable tragedy,” he said in June, in the process of introducing a bill to invest $5.5 billion dollars in creating a million new jobs for America’s poor youth. “From Ferguson to Baltimore and across this nation, too many African-Americans and other minorities find themselves subjected to a system that treats citizens who have not committed crimes as if they were criminals and that is unacceptable,” he told voters in Iowa last month. But more outreach is unlikely to be enough to satisfy the protesters. While the left spent the week debating whether their tactics — shouting down people who essentially agree with them — were appropriate, constructive dialogue among like-minded parties wasn’t the point. Forcing the issue to the top of the Democratic agenda was. If Sanders wants to become the progressive standard-bearer, he needs to prove it’s his top priority. Hillary Clinton wants their support, too. She couldn’t have missed the message.